For today's Thursday Twister, I am going to ask our readers to help solve a problem that is currently causing grief for DT's own Kaibeezy. Now this is an oddball problem on an oddball car -- a mysterious blinker issue on a 2001 Citroën Xantia 1.8i 16v. i suppose that's a bad switch? - inside the steering column? - or is it a relay on the fuse panel? this has actually never happened to me before - quel surprise, i can't seem to get a straight answer by searching for info about my obsolete obscure car (2001 Xantia 1.8i 16v). What do car guys around the planet recommend? Well, let's start with the basics: have you changed the blinker fluid recently? yep, but let me check the cask... it's imperial blinker ointment - should it be metric? OK so seriously, I just did some searching on the French-language forums. Any failures of the blinker units ("Centrale clignotant") seem to be "all or nothing". Therefore, I think replacing the stalk seems like a good bet. Interestingly, those cars do seem to have a propensity for blinker weirdness. One frequent problem is an interaction between the stalk and the four-way warning switch, but again the symptoms are different than what you are experiencing. Hope this helps. Any "U-Pull" yards in your neck of the planet? Are you sure the bulb doesn't have 2 filliments? I'm not sure that was helpful but those boys talk way too fast to keep up. Exact same issue with my e28 currently, and yep, it's the stalk. My best advice is to swap available parts and see if the problem follows those parts. Swap the bulbs left-to-right and see if the problem follows the bulbs or stays the same. I would swap the stalk switch out for a 2003 Maserati Spyder Cambiocorsa in need of a clutch. Is the bulb in question a single filament or a two filament bulb ? Oh wait someone already mentioned that. Taking a piece of wire and hot wiring the relay is a good way of isolating the problem. 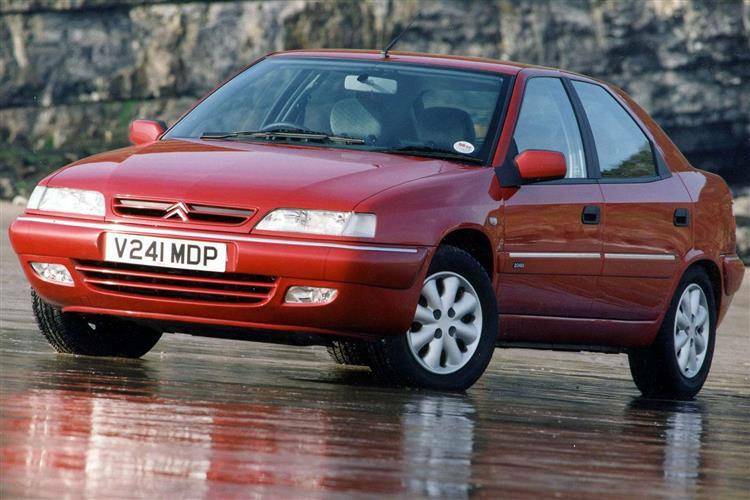 I have no idea what they use in a 2001 Citroën but the thing with the bimetalic spring that heats up and goes "sproingk" in the older turn signals to make them blink will wear out and act like that. In my Porsche the contacts on the turn signal socket will get dirty ( I have no idea how, but they do) and the current draw falls below the amperage required to make the spring go sproingk and the light stays on and doesn't flash. How did you make out kaibeezy? So your being stalked by a french ghost.....! I don't know about le France but on my Audi you could get the multifunction switch apart, clean the green German corrosion off of the contacts, then once you found all of the springs and contacts that had flown across the room re-assemble and be on your way. Getting the steering wheel off in the dark with a flashlight in your teeth to get the switch off the column is another story. I hope Kaibeezy didn't get done in by the self canceling mechanism on the blinker wand. The French can get a little over zealous when it comes to self canceling. A friend was driving a Renault and the entire car self canceled after a left turn. anyway, i think it's got to be the switch, since it gets into the groove when i jiggle it just right - which is probably the ghost of some 80s vintage French engineer's way of giving me an important life lesson - peut-être i leave it like so, oui?